Diet soda is falling out of favor due to the growing unpopularity of artificial sweeteners like aspartame and sucralose (Splenda). PepsiCo even replaced the aspartame in Diet Pepsi with Splenda in 2015 in an effort to win back customers who’ve become wary of aspartame’s health effects — but it clearly didn’t work. To save their slumping sales, and please customers who apparently disliked the taste of the aspartame-free Diet Pepsi, the company is reintroducing “Diet Pepsi Classic Sweetener Blend” — i.e., Diet Pepsi sweetened with aspartame — to the market. Classic Diet Pepsi is slated to come back to the market in September 2016, featuring a light blue can. 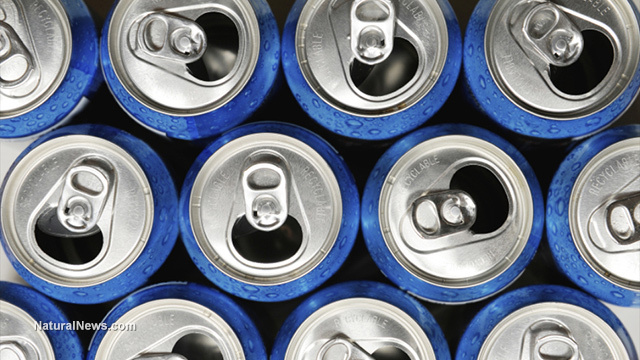 In a silver can will be regular Diet Pepsi, sweetened with Splenda. There’s also Pepsi MAX, which comes in a black can and is going to be reintroduced in the U.S. as Pepsi Zero Sugar. This, too, will contain aspartame.5 Crystal Pepsi, which first made its debut in the ‘90s, will also be making a comeback in 2016, at least temporarily. Unfortunately, all of this relabeling and reintroducing is missing the point, which is not only that soda is detrimental to your health — no matter what shade, flavor or color — but also that diet soda by any name is likely even worse. Many people who are overweight or obese also struggle with pre-diabetes or type 2 diabetes, and consequently choose artificial sweeteners over sugar, believing the former to be a healthier choice. For a substance often used in “diet” products, the fact that aspartame may actually increase weight gain is incredibly misleading. “This study provides evidence that consumption of aspartame may be associated with greater diabetes risk in individuals with higher adiposity. Aspartame is reported to be associated with changes in gut microbiota that are associated with impairments in insulin resistance in lean and obese rodents. “Regular consumption of artificially sweetened soft drinks is associated with disorders of the metabolic syndrome, including abdominal obesity, insulin resistance and/or impaired glucose tolerance, dyslipidemia and high blood pressure. Yet, it’s not only aspartame that’s linked to health problems, so if you’re thinking that sticking with PepsiCo’s Splenda-sweetened diet soda is smarter, you’re being misled. Like aspartame, Splenda affects your body’s insulin response. “Although we found that sucralose affects the glucose and insulin response to glucose ingestion, we don’t know the mechanism responsible. We have shown that sucralose is having an effect. PepsiCo is desperately trying to grab a corner of the market it currently misses — health-conscious consumers. Reformulating its diet soda is just one of its plans toward this end. But make no mistake. In the case of Diet Pepsi, they can call it whatever they want and put it in any color can they can possibly imagine, but it won’t change the fact that it’s among the worst beverages you can consume for your health. Aspartame is made up of aspartic acid and phenylalanine. But the phenylalanine has been synthetically modified to carry a methyl group, which provides the majority of the sweetness. That phenylalanine methyl bond, called a methyl ester, is very weak, which allows the methyl group on the phenylalanine to easily break off and form methanol. In short, both animals and humans have small structures called peroxisomes in each cell. There are a couple of hundred in every cell of your body, which are designed to detoxify a variety of chemicals. Humans have the same number of peroxisomes in comparable cells as non-human animals, but human peroxisomes cannot convert the toxic formaldehyde into harmless formic acid. Formaldehyde is a known carcinogen that causes retinal damage, interferes with DNA replication and may cause birth defects. Diet soda is a scam of the worst kind, because those who drink it typically believe they’re doing their body a favor by cutting out some calories. But research shows diet soda drinkers may later “compensate” for the calories they didn’t consume in their soda by eating more high-sugar, high-sodium and high-in-unhealthy-fats foods later in the day.17 They may also feel compelled to eat more junk food because the diet beverage didn’t satisfy their craving or desire for calories. Obese adults were affected the most and had the highest incremental daily calorie intake from unhealthy foods associated with diet beverages, which again shows that the people most likely to consume artificial sweeteners are also among those most likely to be harmed by them. 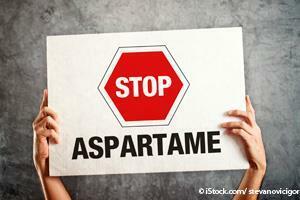 Are You Ready to Ditch Aspartame and Other Artificial Sweeteners? First, I highly recommend trying an energy psychology technique called Turbo Tapping, which has helped many “soda addicts” kick their habit, and it should work for any type of craving (including diet soda cravings) you may have. If you still have cravings after trying Turbo Tapping, you may need to make some changes to your diet. My free nutrition plan can help you do this in a step-by-step manner. Your best, most cost-effective, choice of beverage is filtered tap water. I strongly recommend using a high-quality water filtration system unless you can verify the purity of your water. Seltzer or mineral water is another option, especially if you’re missing the fizz of soda. Adding a squeeze of lemon or lime is one way to add some flavor and variety, and many soda drinkers find it easier to ditch soda when replacing it with some sparkling water. Unsweetened tea and coffee can also be healthy and can add some variety to your beverage choices without ruining your health. 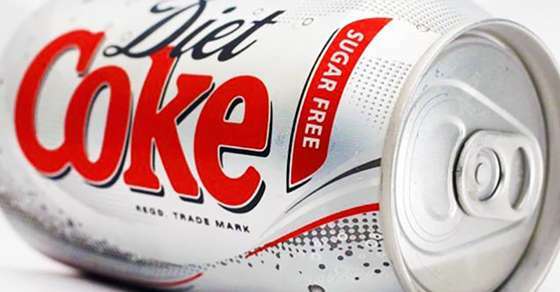 Diet Soda’s Worst Fear Coming True: Massive Study links Aspartame to Major Problems. One reason for the decline could be a growing awareness of the obesity epidemic in the US and growing health concerns surrounding sugar-sweetened beverages. According to Reuters, industry experts say the beverage industry is shrinking under the scrutiny. Even diet-branded drinks have suffered a loss of sales with concerns over artificial sweeteners.Whatever the reason for the decline, this new study should only add fuel to the movement away from artificial sweeteners. There are plenty of natural sweeteners that people can choose that are much healthier than aspartame. Click here for a practical guide to natural sweeteners. The reality is that these claims are simply untrue! Most soda manufacturers use an artificial sweetener, called aspartame, to replace sugar. A new study carried out by the University of Iowa, has shown that this chemical is linked to an increased likelihood of heart disease. The results, on the surface, didn’t appear to fit the hypothesis that aspartame was one of the leading causes of heart disease. However, the records showed that alongside the slightly higher rate of heart-related health issues, the women in the two or more a day group were, on average, significantly younger than the women in the other groups, meaning the diet sodas were causing health issues at an accelerated rate. The women in this group also had the highest average BMIs, the rate of diabetes and highest average blood pressure. Several more research projects have been commissioned since the publication of the University of Iowa’s results, in order to deduce the scale of the issues that aspartame can cause. However, the advice in the meantime is to cut out soda drinks from your daily life and even if you do occasionally indulge; regular soda is actually better for you than the diet variety. A decade-long study of 60,000 women has confirmed that drinking diet soda sweetened with aspartame is linked with a 30 percent increase in heart attack risk and a 50 percent increase in death risk. The findings, presented at the American College of Cardiology (1), have already been partially swept under the rug with the false explanation that diet drinks don’t necessarily cause these risks but are instead merely correlated with them. “Women who toss back too many diet sodas may be trying to make up for unhealthy habits,” claims an article on CNBC (2), while citing no evidence whatsoever to support the claim. There are a thousand beverages healthier than diet sodas: tea, fruit juice, mineral water, raw almond milk… even non-diet sodas are better for you than diet sodas! (And diet sodas have been conclusively proven to have no effect whatsoever on weight loss. So drinking them is a useless diet gesture to begin with.) If for some reason you are still drinking diet soda, find a healthier beverage and stop poisoning yourself to death. From the American College of Cardiology website: [A] study led by Ankur Vyas, MD, of the University of Iowa found that postmenopausal women who consumed two or more diet drinks a day were 30 percent more likely to experience a cardiovascular event and 50 percent more likely to die from related cardiovascular disease than women who never, or only rarely, consumed diet drinks. The analysis of 59,614 participants in the Women’s Health Initiative Observational Study, who had an average age of 62.8 and no history of cardiovascular disease, saw that after an average follow-up of 8.7 years, the primary cardiovascular outcome occurred in 8.5 percent of the women consuming two or more diet drinks per day compared to 6.9 percent in the five-to-seven drinks per week group; 6.8 percent in the one-to-four drinks per week group; and 7.2 percent in the zero-to-three per month group. The difference persisted when researchers adjusted for other cardiovascular risk factors and co-morbidities. The association between diet drinks and cardiovascular disease warrants further study to define the relationship, Vyas said. From the American College of Cardiology website: [A] study led by Ankur Vyas, MD, of the University of Iowa found that postmenopausal women who consumed two or more diet drinks a day were 30 percent more likely to experience a cardiovascular event and 50 percent more likely to die from related cardiovascular disease than women who never, or only rarely, consumed diet drinks. The analysis of 59,614 participants in the Women’s Health Initiative Observational Study, who had an average age of 62.8 and no history of cardiovascular disease, saw that after an average follow-up of 8.7 years, the primary cardiovascular outcome occurred in 8.5 percent of the women consuming two or more diet drinks per day compared to 6.9 percent in the five-to-seven drinks per week group; 6.8 percent in the one-to-four drinks per week group; and 7.2 percent in the zero-to-three per month group. The difference persisted when researchers adjusted for other cardiovascular risk factors and co-morbidities. The association between diet drinks and cardiovascular disease warrants further study to define the relationship, Vyas said. The findings, presented at the American College of Cardiology(1), have already been partially swept under the rug with the false explanation that diet drinks don’t necessarily cause these risks but are instead merely correlated with them. “Women who toss back too many diet sodas may be trying to make up for unhealthy habits,” claims an article on CNBC,(2) while citing no evidence whatsoever to support the claim. Keep in mind that any time a synthetic vitamin is correlated with increased mortality, the entire scientific community immediately describes those synthetic vitamins as “causing” death. Correlation is causation only when industry-funded scientists say it is. What scientists refuse to explore — even when the data clearly show a strong death risk association — is that aspartame is a neurotoxin. The reason why women who drink diet soda have a 50 percent increased death risk is, of course, far more likely to be caused by what’s in the diet soda rather than some lifestyle choice. Soda companies and misinformed doctors all try to pretend none of these side effects are real — that people are all imagining headaches, blurred vision, numbness, insomnia and so on. That’s how unethical the soda industry is: they poison their own customers with a neurotoxic chemical, then call them delusional when they suffer neurological side effects. [A] study led by Ankur Vyas, MD, of the University of Iowa found that postmenopausal women who consumed two or more diet drinks a day were 30 percent more likely to experience a cardiovascular event and 50 percent more likely to die from related cardiovascular disease than women who never, or only rarely, consumed diet drinks. The analysis of 59,614 participants in the Women’s Health Initiative Observational Study, who had an average age of 62.8 and no history of cardiovascular disease, saw that after an average follow-up of 8.7 years, the primary cardiovascular outcome occurred in 8.5 percent of the women consuming two or more diet drinks per day compared to 6.9 percent in the five-to-seven drinks per week group; 6.8 percent in the one-to-four drinks per week group; and 7.2 percent in the zero-to-three per month group. The difference persisted when researchers adjusted for other cardiovascular risk factors and co-morbidities. The association between diet drinks and cardiovascular disease warrants further study to define the relationship, Vyas said. Most foods labeled “diet,” “light” or “zero” are toxic to humans. They are carcinogenic and cause free radicals to warp your good cells, strangulating mitochondria and multiplying uncontrollably. Eventually, cancerous cells find damaged tissue or an organ to suffocate. This is when most doctors and oncologists in America first “discover” cancer, after it is fully manifested, and for many, it’s too late. More than 50 percent of people who getcancer die from it, and one-third of all Americans get cancer at some point in life. Who gets it first and who gets it the worst — the diet soda drinkers, the pesticide-laden GMO food eaters or the smokers? The “Tobacco Master Settlement Agreement” or “MSA” was entered in November of 1998 between the four largest US tobacco companies, which include Philip Morris Inc., Brown & Williamson, R.J. Reynolds and Lorillard. Tobacco-related healthcare costs (detriment) were settled (covered), and Big Tobacco agreed to “curtail” marketing practices (were told not to market to kids so much). Plus, they were adding ammonia to the manufacturing process and got busted red-handed by a whistleblower in court. This is how “crack” nicotine was discovered by the general public, via a settlement made for marketing restrictions. So what’s really in a commercial cigarette? Can you mix ammonia, bleach and pesticide? Doesn’t that create a form of mustard gas? How can this be a legal form of “recreation”? We are decades into diet soda frenzy and addiction, and nothing has changed! At least one of the evil “fake sugars” can be found in every popular diet soda across the nation — they’re the Trojan horses of the cancerous conventional food and beverage industry. The sweet tastes fools your body into ingesting it, trying to use it, and THAT is how your cells mutate and cancer begins to “take root.” Do you have IBS, general anxiety, muscle pain for “no reason,” arthritis “flare ups,” ringing in the ears, daily fatigue or, even worse, fibromyalgia? Cut out all artificial sweeteners for ONE WEEK and see how you feel. Guess what caused most of the “Gulf War Syndrome” — artificial sweeteners. Conclusion: Don’t eat cancer. Don’t drink it and don’t smoke it! The carcinogens can only win the battle if you feed them their necessary fuel — more carcinogens. Try to NEVER drink soda or diet soda or eat GMOs. If you smoke, you can quit starting today using the natural method called 14AndOut, recommended by Health Ranger Mike Adams. First of all, artificial sweeteners are linked to diabetes, so let’s not even go there. According to a new study, reaching for “fake” sugars means trading calories for type 2 diabetes — no thanks! A better choice would be to eat organic honey and exercise, but doctors don’t tell you that. So we turn to research for validation. In the journal Nature, they’ve been debating the risks of artificial sweeteners for decades, but the Weizmann Institute of Science in Israel figured out that diet sodas ruin your gut microbes, thus ruining immunity. Since artificial sweeteners cannot be digested, and phosphoric acid is brutal on the flora to begin with, the combination is leading to diabetes, and microbes seem to provide the missing link as to “why.” Most of the discussions in the past involved confusion about something that wasn’t being digested leading to diabetes, but this study conducted with 400 human test subjects is groundbreaking. “In a series of experiments in mice and people, the researchers examined the interaction between gut microbes and consumption of the sweeteners aspartame, sucralose and saccharine. Depending on the types of microbes they had in their intestines, some people and mice saw a two- to fourfold increase in blood sugars after consuming the artificial sweeteners for a short time. Over time, high blood sugar levels can lead to diabetes,” said Eran Segal, a study co-author who is a computational biologist at the Weizmann Institute. The study also revealed that those who consumed the most artificial sweeteners were more likely to have problems controlling blood sugar. 1. Increased risk of stroke or heart attack from more than one diet soda per day (even though Diet Coke promotes heart health in their advertising). 3. One-third higher risk of metabolic syndrome when you drink diet soda regularly (check your excess belly fat). This was proven way back in 2008 by a study done at the University of Minnesota that included 10,000 participants. 4. Two-third higher risk of type 2 diabetes. 5. Kidney decline risk doubles (Harvard study). So much for detoxifying your blood while you try to “control” calorie intake. 6. Who wants dental erosion? The phosphoric acid does a number on your teeth! 7. Diet soda hinders your ability to lose weight (though it is sold boldly on the reverse claim). 8. Chemicals in the body promote obesity by disrupting your hormone balance. 9. Artificial sweeteners initiate sugar cravings and overeating. 10. 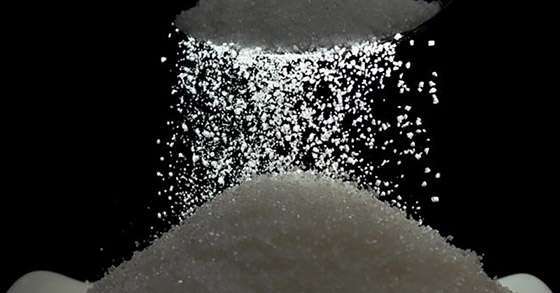 Synthetic, lab-made sweeteners are heavily linked to cancer. The body interprets the sweet taste of food and tries to ingest it, mutating your cells and causing them to multiply out of control. Also, aspartame creates an excess of neurotransmitters (chemicals) that pass messages between your neurons. Dr. Russell Blaylock explains this well. This overload disrupts the calcium balance in brain cells, causing a rush of free radicals, killing off brain cells. You can kill two-thirds of your brain in a particular area before any clinical symptoms of lowered brain function even show up in testing by doctors. Appreciate this metaphor and you will have a clear understanding of the best cancer prevention plan on the planet: If you were a general in the army and you were going to battle with a worthy adversary, your most important strategy for short- and long-term advantage would be to cut off the other army’s supplies, including their fuel and ammunition. If you do that, the enemy will be so weak that you are sure to win that battle and probably never have to fight a war. Cut off cancer’s fuel. Cancer feeds off an acidic body loaded with pesticides, synthetic “food” stuff, fluoridated water and genetically modified organisms. 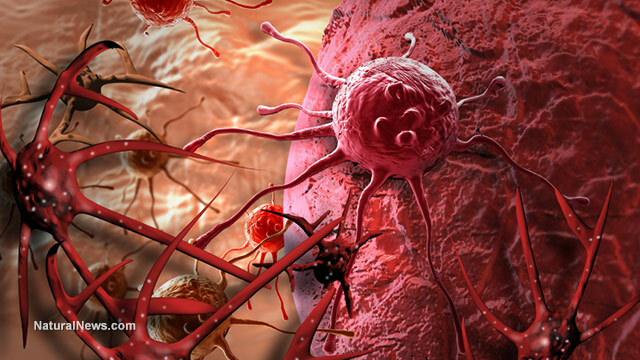 Once you stop eating cancer, the cells that are mutated inside your body now will die off. It’s time to apply common sense ALL the time. Ditch diet soda and the “fake sugar” chewing gum now and forever, and tell your friends and family the same.